CRISIS is the toxic waste cleanup advocacy group of Bridgewater Township, New Jersey. CRISIS has been providing critical and technical oversight on behalf of the public (regarding the American Cyanamid/Pfizer Superfund site) since 1992. 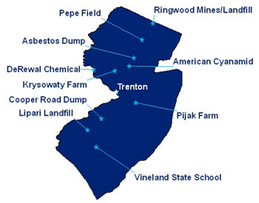 Cyanamid is one of the Major Superfund Sites on the east coast. The site is effectively entirely in the Raritan River Floodplain. It borders the Raritan River next to The Patriots Ball Park and 287 in Bridgewater and Boundbrook, NJ.